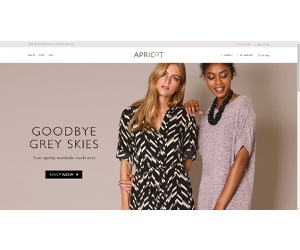 Apricot started trading in 2007 and has become one of the fastest growing women's fashion brands. They offer the hottest trends at the most affordable prices. Apricot sell a wide range of clothing accessory pieces to the world. At Voucher Saver we will list the very latest Apricot Voucher Codes and any sales/discount promotions. Apricot is an extremely seasonal retailer. The audience demand fast moving styles and as a result if Apricot has a surplus amount of stock, they will discount heavily to reduce that number down to allow for new stock to come into the company. Dresses, occasionwear and much more can all be found in Apricots sale pages. Sales tend to happen just before Summer and just before Autumn. If you are close to spending £75, don't forget you will save £3.99 if you spend over that limit. Worth noting as this delivery is quite expensive compared to other fashion retailers. As always we recommend you sign up to their newsletter, popular deals and offers will always be found from time to time.